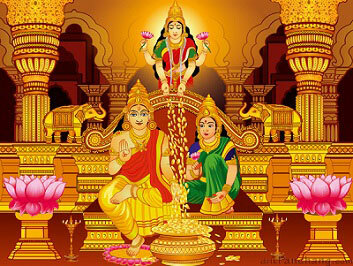 On Dhantrayodashi Hindus consider it auspicious to purchase gold or silver articles or at least one or two new utensils. It is believed that new “Dhan” or some form of precious metal is a sign of good luck. “Lakshmi Puja” is performed in the evenings when tiny Diyas of clay are lit to drive away the shadows of evil spirits.